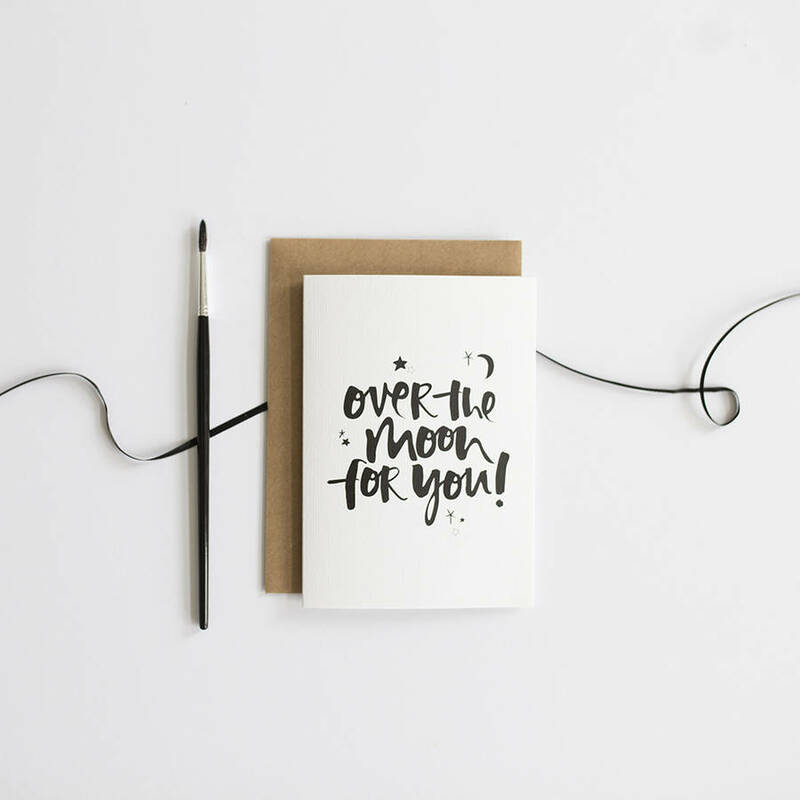 A beautiful hand lettered congratulations card. A card for a variety of ocassions! 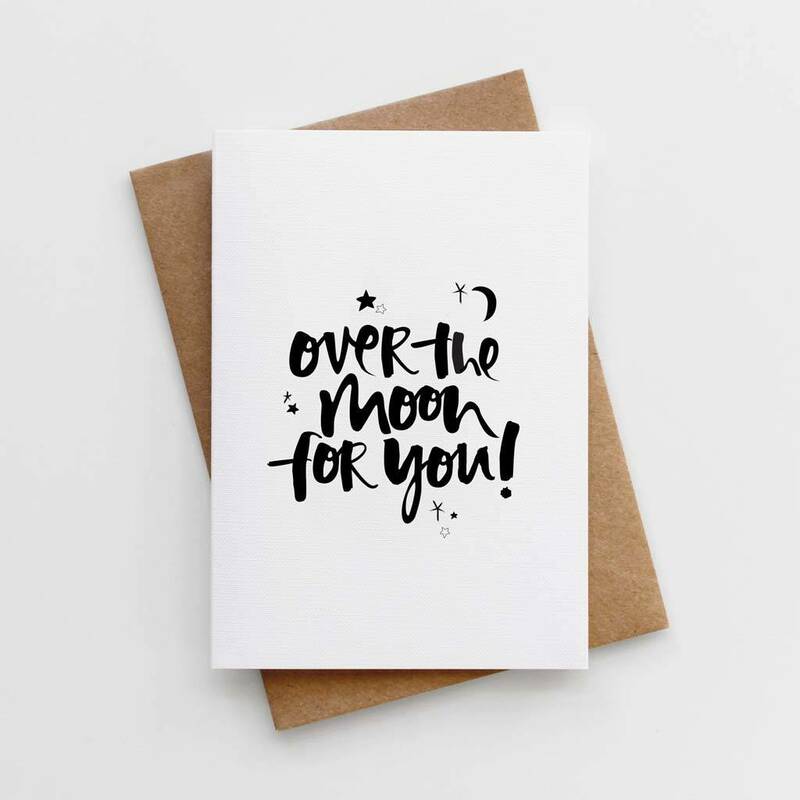 Engagement, new baby, graduation or exam success, our 'Over The Moon For You' card is the perfect card to congratulate family and friends on happy news. Our unique, contemporary designs and eye catching designs are created by hand using a Japanese brush pen and rich, black Indian ink. 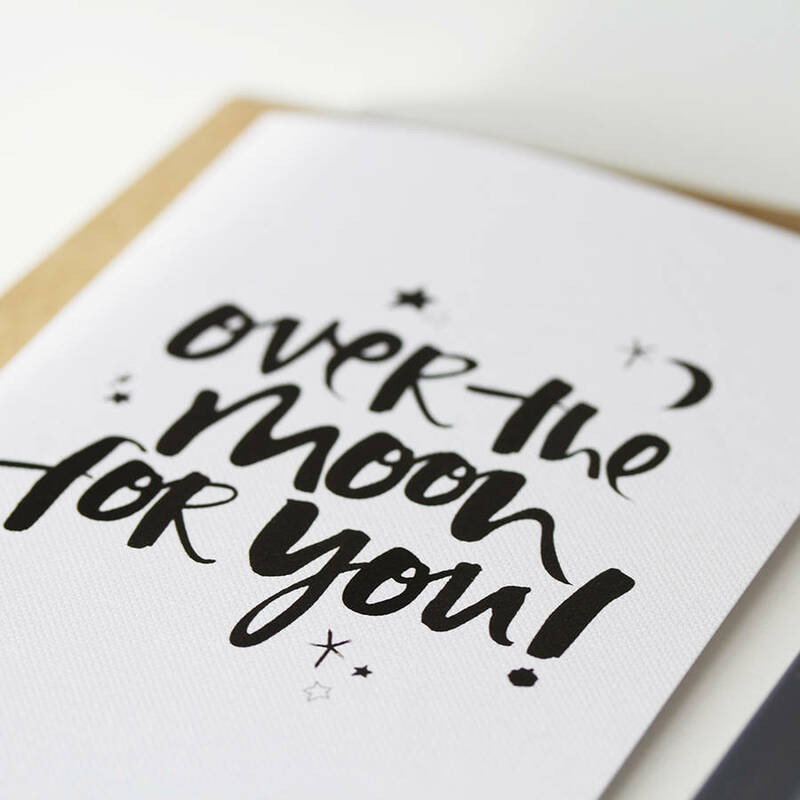 Each design is the printed on luxurious FSC certified 350sgm textured card and teamed with a brown kraft envelope.